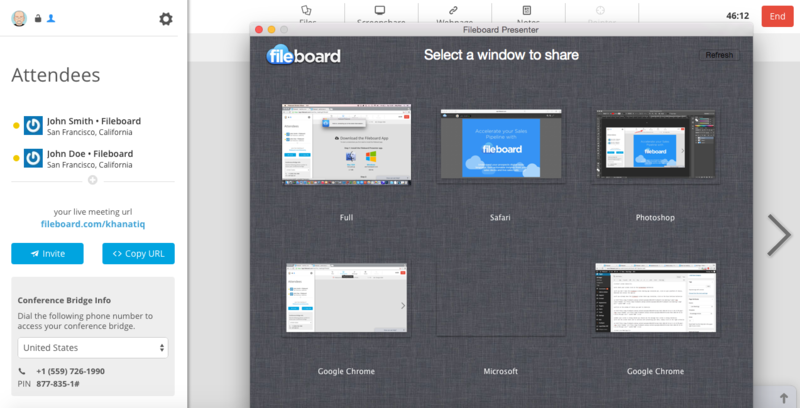 Follow the steps outlined in this document to start a live meeting in Fileboard. 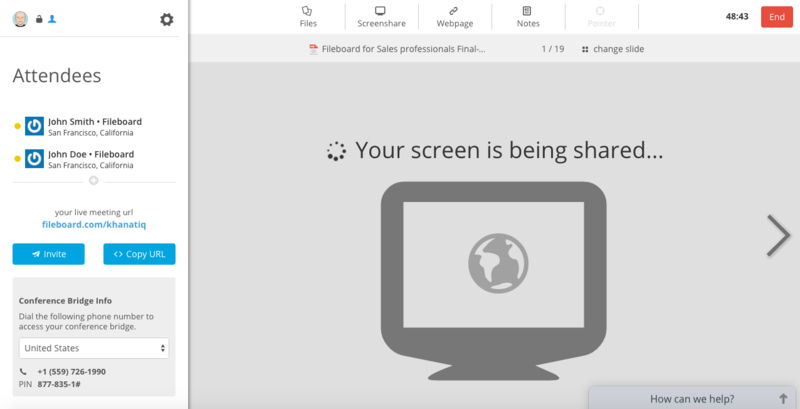 On Mac computers, you will immediately enter the Live Meeting. For Windows users, you will see the popup below. You can (optionally) enter information here on the company you are presenting to as well as a few more details and specify if you want to gather each attendee's name and email before they enter the meeting, or if you want to set a passcode for the meeting for privacy. When you are finished, click the blue Start Meeting button. 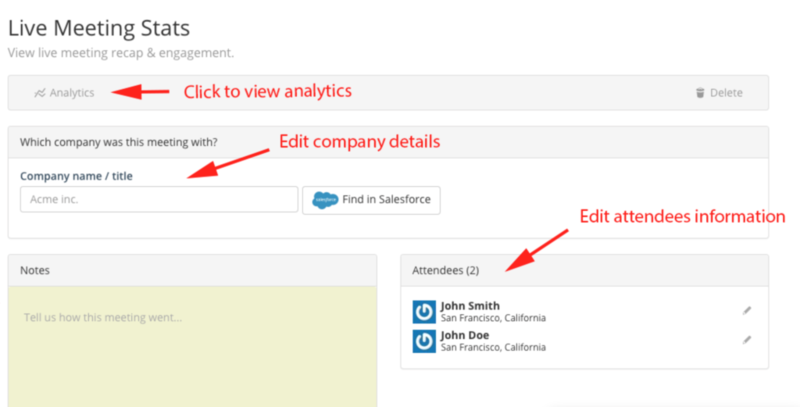 When attendees are online an indicator appears on the left side of their name. 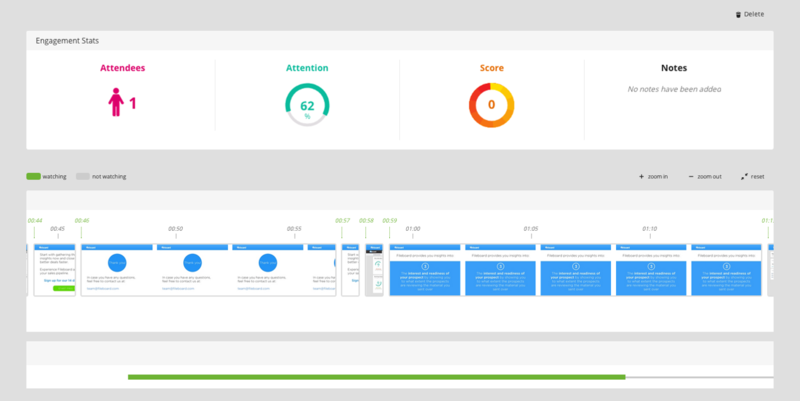 The green indicator means the attendee is online and looking at your presentation, the yellow indicator means the attendee is online but not paying attention. When the indicator is grey, it means the attendee is offline. 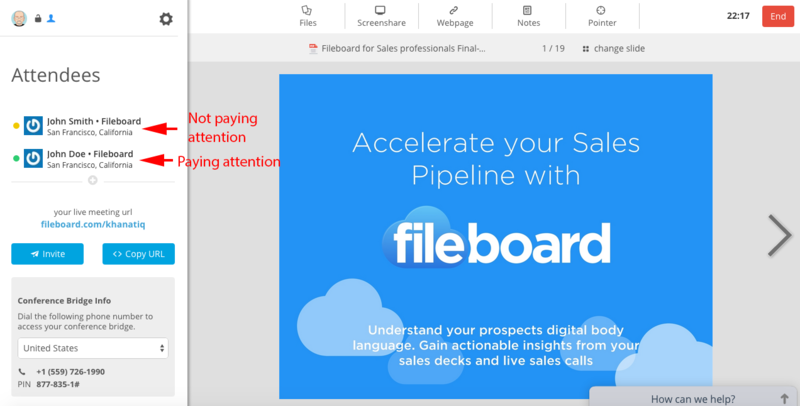 You can also make notes while you are presenting and use the pointer to highlight specific points in your presentation. 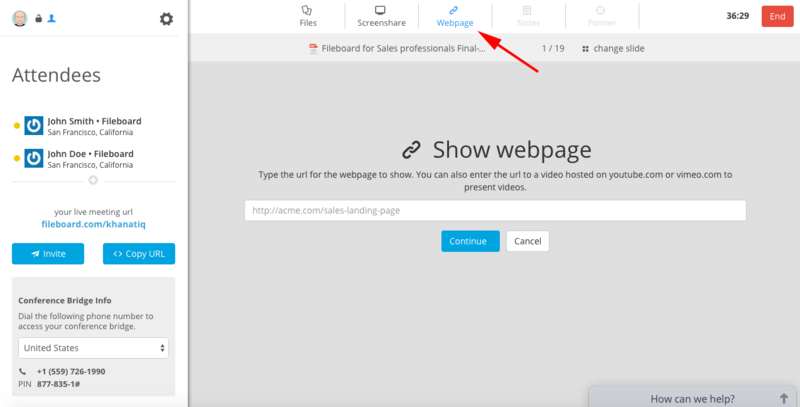 When you end the live meeting you can edit company details, make additional notes and edit attendee details as well. 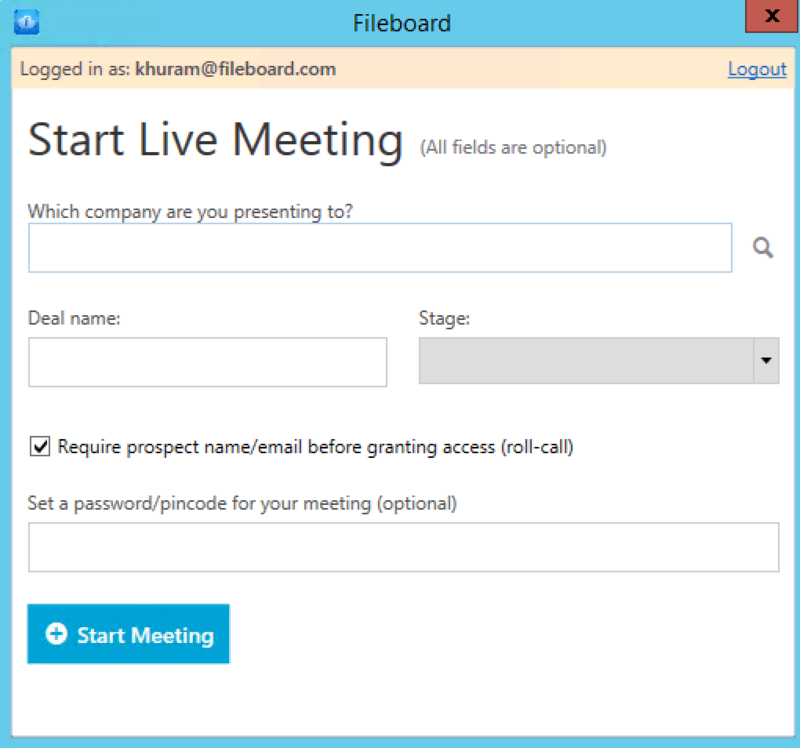 To view the meeting analytics you can click on the Analytics button.